Your future customers are discerning. They explore their options and only enter relationships with the companies they consider to be leaders in their industry, which means competition throughout the greater New York area is relatively stiff. Having a fast, reliable Internet connection can give your Bedford, New York business a hand up on the competition. Frontier Business packages offer a variety of phone and Internet services—including Business High Speed Internet—designed to help you stay connected with both your customers and employees. In The Empire State, businesses need a strong communications infrastructure to compete in the current market. You’ll have access to the valuable tools you need with Frontier’s services for small businesses so you can acquire new customers, build partnerships with other businesses, and recruit qualified talent. 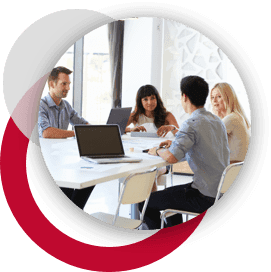 What’s more, services such as Managed IT, Conferencing, and Texting facilitate connections with new and existing customers, employees, and partners. Frontier’s secure and protected network provides an easy, safe way to promote new products and communicate with team members. Frontier’s Web Development and Hosting Services are useful solutions for giving your business a stronger presence online. With better communication and better web strategy your Bedford company will have a distinct edge when hiring employees. That’s a valuable advantage, considering the projected job-growth rate of 27.22 percent. A number of New York companies are getting larger and expanding their reach. While growth is positive, it comes with a number of challenges that have to be dealt with if a business wants to thrive. Frontier’s Enterprise Solutions were developed specifically to help you get through these difficulties with ease while making your company stronger. Expansion often leads to increased connectivity demands, and Frontier’s scalable Ethernet (Local Area Network and Virtual Private Line) systems will provide flexibility, support, and bandwidth you need. Plus, Frontier’s IP Virtual Private Network provides a secure link to your online assets through a safe IP connection. But scalability is only one consideration in a competitive area like Bedford. Frontier Communications keeps you connected to your customers no matter where they are with dependable phone lines and superior sound-quality. 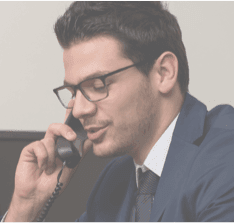 With Centrex from Frontier, you get high-quality telephones with advanced features that are easy to use, while we handle all the rest—hosting, network design, equipment, monitoring, and more—so you can focus on connecting with customers anywhere in The Empire State. On top of that, the Hosted VoIP solution includes essential features like Voicemail, unlimited nationwide calling, and Caller ID, in addition to voice-to-email integration and superior sound quality (thanks to Frontier voice solutions). Regardless of your industry (Hospitality, Retail, Health Care, Finance, Education etc. ), customers living in Bedford, NY want to easily contact companies that they are considering doing business with. Future clients should be able to contact your business over the phone, online, and in person?and if you make those interactions easy and productive, those clients are more likely to remain with your business for the long-term. Frontier provides your company with dependable customer service, up-to-date infrastructure, and advanced equipment. And since Frontier's services are catered to specific industries, it is easier than ever to stay in touch with your team and your customers. New York has its fair share of cybercrimes. In 2013, there were 0 cybercrimes reported throughout New York. Fortunately, there are steps you can take to protect your business from becoming a victim of such a crime. Protect your company from malware, viruses, and hackers with Frontier Secure. You can also arm your systems with cloud backup, and a professional technical support team is available around the clock if you ever need help. And Frontier’s protection options don’t just protect your business from online threats. Frontier’s equipment replacement program is a valuable resource for New York business owners who want additional protection for company assets. Of course, Frontier in New York also delivers the bread and butter of Internet service: a quick connection that allows you to handle all of your online business quickly and efficiently. With speeds up to , you’ll be able to download files, communicate with clients, and spend more time actually running your business. So get the speed and security you need to stay ahead of your competition with cutting-edge technology and exceptional service from Frontier.